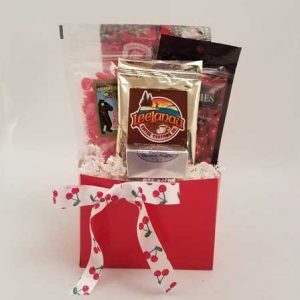 We love to do Custom Baskets. 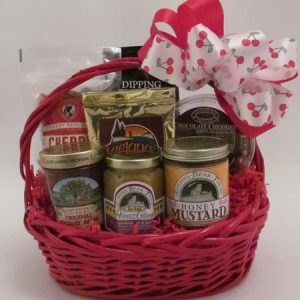 Great selection of delicious local treats. 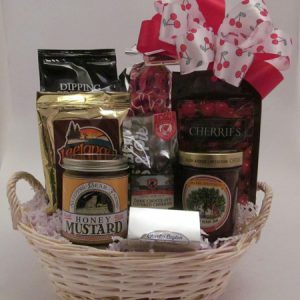 Includes Cherry Republic Cherry Nut Mix, Sleeping Bear Farms Honey Mustard, East Shore Dipping Pretzels, Cherry Republic Dark Chocolate Covered Cherries, Traverse Bay Fruit Company Dried Cherries, Cherry Republic Original Cherry Salsa, Sleeping Bear Farms Honey Sticks, Cherry Republic Cherry Sour Patches, Leelanau Coffee Roasting Company French Roast Coffee, and Cherry Republic Cherry Berry Jam all arranged in a reusable burgundy planter. 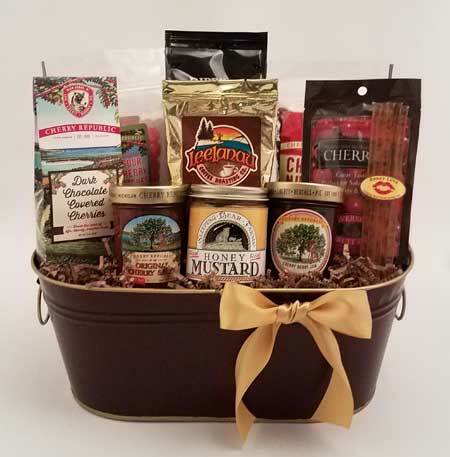 Bay Baskets understands the importance of business gift giving. 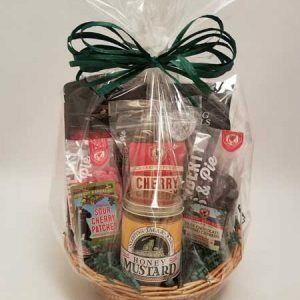 Our custom gift baskets are an effective way to make a big impression on important clients or valued employees, to show them you appreciate their loyalty and support.